In a fast changing digital world the old ways of doing business is getting outdated with every passing day. We all know that we need to be in sync with the times about how we run our business. However, do we also know that our office environment should also be in keeping with current trends and practices? Are we aware how critical this aspect is to the growth of our organizations? This is where the importance of planning and designing of a modern office comes into the picture. We can no longer afford to do what we did yesterday. Our workplaces should not look like how they were ten years ago because everything today has changed. From work culture to technology to the way you do business today is completely different. Therefore we need to design our offices too in a way that matches modern business practices and trends. This idea is also of equal significance when it comes to hiring young professionals. The new generation of technology savvy youngsters today are critical to any modern business organization. How your office looks and how it is designed plays a significant role in attracting and retaining young talent. Your work place should suit their modern taste, style and approach to work. This in turn will position your organization for sure fire success and growth. The millennials focus on smart office layouts and modern work environments when choosing the organization they want to work for. They look for companies who have a modern approach to creating vibrant and trendy office environment. This means that you design a contemporary office with great ergonomic seating, modern workstations and a vibrant environment in general. In addition to the work space its equally important to plan for areas that provide a break from work. You should pay attention to creating a space for relaxing and interacting among themselves. Keeping all this in mind the following suggestions can be useful to you when designing and planning your office interiors. Let your office layout reflect leadership – For planning any office interior its important that there is an element of design that defines leadership. Whether its a cabin or an open office you can always create a subtle element that differentiates the group from the leader. It is important that you plan this differentiation in a tasteful manner without making it too obvious or overbearing. 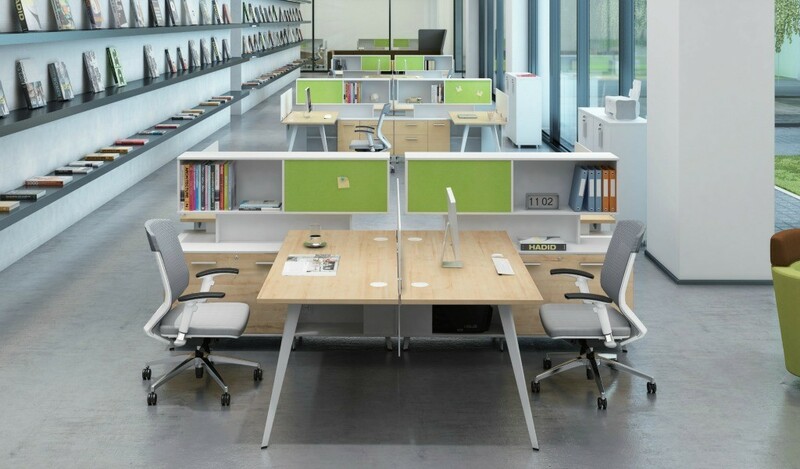 Use of modern office furniture can be an effective way of creating this separation in an unoffensive manner. Let your creativity flow in designing break-out rooms – Young employees seek out companies with vibrant and fun break-out spaces rather than companies with huge cafeterias. Break out areas are not just for taking a break from your work. A well designed relaxation area can facilitate meaningful conversations, business discussions and brain storming among your employees. They tend to foster spontaneous exchange of ideas that can have a positive effect on your business and its growth. 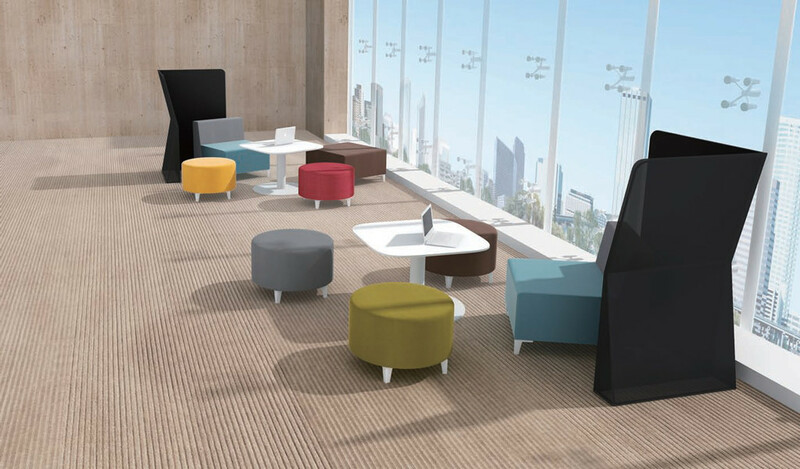 Touchdown spaces like mini conference tables, bean bags and lounge chairs in such areas boost creativity and innovation. So you should furnish these areas with comfortable seating and tech ports where your employees can relax while they work. Let your employees relax in warm, positive environments – Gone are the days of an office with two cabins and large cubicles adjacent to each other. The success of your organization depends upon the productivity of your employees. And in order to make your employees productive, provide them with an environment which increases their efficiency. Your employees spend majority of their day working in your office in a limited space. So it is very important that you bring fun to their work by planning and designing your office in keeping with modern trends and practices. A warm environment attracts people who have to spend every day in the same space and makes them productive. The young lot do not find starkly designed minimalist rooms welcoming. Rather they find it dull, lonely and boring. To make your office relevant to the millennial generation opt for spaces with natural light, warmth and coziness. Have your walls and furniture with some warm colors. Colors like yellow, orange, bright blue, and green are considered as positive hues. Try applying them to walls, cubicles, and filing systems. The point is if you want your employees to do great work, you should focus on creating a lively workplace. 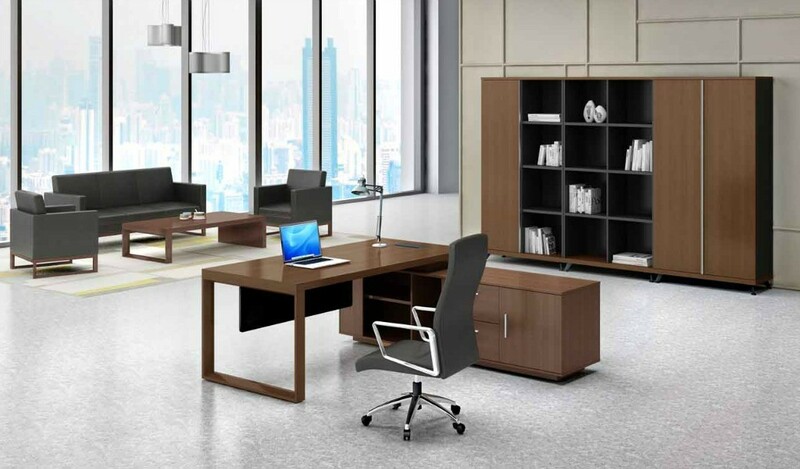 Make a list of your office furniture requirement and see how you can make it more interesting. A fun workplace means a happy employee who in turn works more to bring in positive results. We at Boss’s Cabin are here just for this purpose. To help you plan, design and create a modern, vibrant and lively office that is in sync with the times.